SUFFERING FROM BRAIN FOG and have no energy? 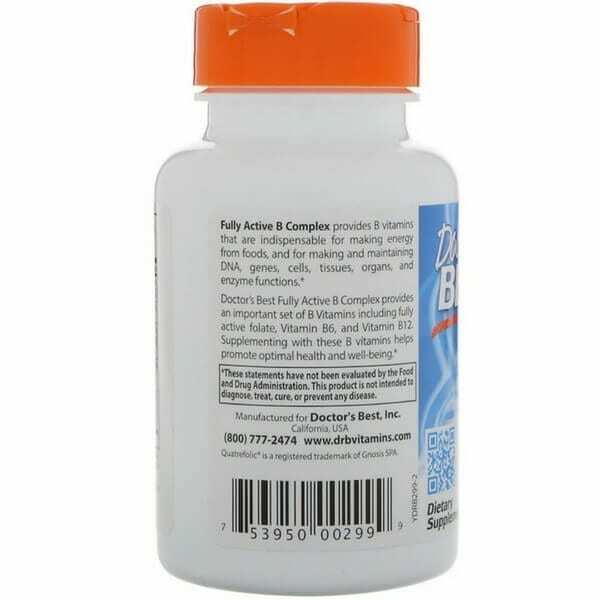 Doctor’s Best fully active B complex is a perfect blend of all the right B vitamins, including bioavailable folate instead of cheap folic acid. 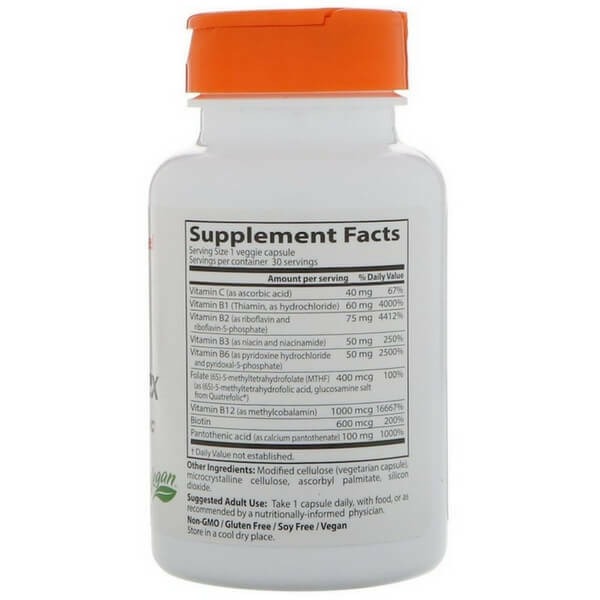 B complex vitamins in the active form are known to help make energy and for making and maintaining DNA, genes, cells, tissues, organs, and enzyme functions. B VITAMINS ARE fundamental to life, as humans cannot make them and must be obtained through your diet. If you don’t have a heavy plant-based diet, this can be a great substitution for you! 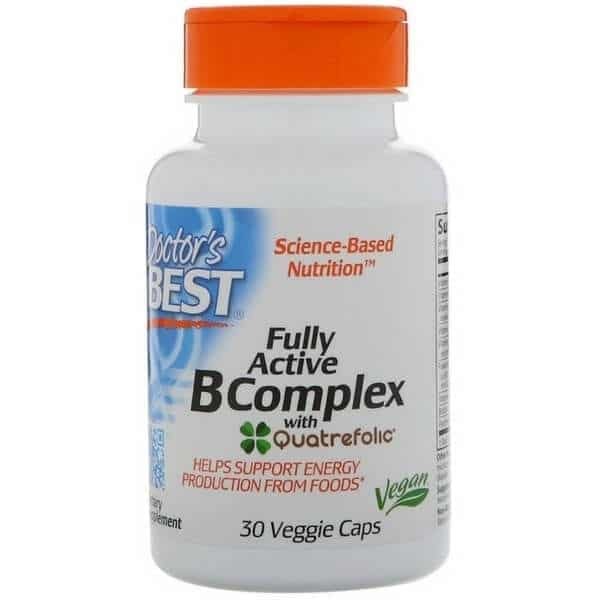 DOCTOR’S BEST FULLY Active B Complex provides only the best-utilized forms, including fully active folate and MTHF (methyl-tetra-hydro-folate). Methylation is required for the creation of every cell in your body, so if it is not activated properly, toxins can build up even more. This can contribute to a domino effect of issues resulting in chronic fatigue and brain fog. INCLUDES FULLY active vitamin B12 that has excellent oral absorption. Lupus Health Shop makes sure there are no binders or fillers which will compromise the effectiveness. VITAMIN B6 IS KNOWN to block the toxic effects of certain drugs and chemicals that cause lupus symptoms, so if you’re on medication, or being weaned off it, supplements can help to ease symptoms. Brain fog and confusion while in conversation is so embarassing. I’ve noticed a difference, I have more clarity at work and I feel so much better talking in meetings. I highly suggest this product to everyone with Fibro, lupus, any disease that causes pain and brain fog. It really helps! But, deff. get your blood work done because this stuff works well and your body will absorb it quickly. It took about 2 months for me to feel a complete difference, but I’d say about 1 month in I started noticing. I take fish oil and eat fatty foods which is good for brain health, so I’m sure it’s a combination of things. B complex definitely helped me get there! I have MTHFR gene mutation so I really suffer with fatigue and brain fog becase of this and Lupus. This has really helped because of the way it’s made. Supplments vary greatly and I will continue to use this brand. This helps me so much that I don’t take it everyday otherwise my levels will raise too high. The B’s really help with brain fog and hair. DOESN’T CONTAIN FOLIC ACID! YaY! Folic acid is the synthetic version that is not used correctly and isn’t absorbed in the body enough. Instead, there is folate which is the natural form your body can easily recognize. DOCTOR’S BEST FULLY ACTIVE B Complex provides only the best-utilized forms, including fully active folate and MTHF (methyl-tetra-hydro-folate). VITAMIn B 12 is essential in preventing anemia, something that is often seen in people with lupus and contributes to the tired and weak feelings they suffer from. A 2004 study published in “Rheumatology International” looked at the incidences of anemia and serum vitamin B-12 deficiencies in patients with rheumatoid arthritis, psoriatic arthritis and systemic lupus erythematosus and found that it was much higher in patients suffering from these diseases and that such patients should be monitored for vitamin B-12 deficiency. B vitamins are fundamental to life, as humans cannot make them and thus must be obtained by diet and supplementation. B complex vitamins are one of the most common supplements for those with Lupus fog, order today!